The UK is the first country to make it compulsory for companies to include emissions data for their entire organisation in their annual reports. All businesses listed on the Main Market of the London Stock Exchange will have to report their levels of greenhouse gas emissions from the start of the next financial year under plans announced by the Deputy Prime Minister at the Rio+ 20 Summit today. The introduction of the reports, following consultations with leading businesses, will enable investors to see which companies are effectively managing the hidden long-term costs of greenhouse gas emissions. The majority of businesses responding to the consultation support the change and government plans are also backed by leading employer and environmental organisations including the CBI and the Aldersgate Group. The new regulations will be introduced from April 2013. They will be reviewed in 2015, before ministers decide whether to extend the approach to all large companies from 2016. Greenhouse gases, such as carbon dioxide, nitrous oxide and methane are causing climate change leading to global temperature increases, sea level rises and dangerous changes to patterns of drought and flooding. More than 30 billion tonnes of CO2 are emitted globally each year by burning fossil fuels and the concentration of CO2 in the Earth’s atmosphere is now higher than at any time in at least the last 800,000 years. The UK is committed to cutting UK carbon emissions to 50% of 1990 levels by 2025. Reporting is the first vital step for companies to make reductions in these dangerous emissions. It is estimated it will save four million tonnes of CO2 emissions by 2021. “Counting your business costs while hiding your greenhouse gas emissions is a false economy. “British companies need to reduce their harmful emissions for the benefit of the planet, but many back our plans because being energy efficient makes good business sense too. It saves companies money on energy bills, improves their reputation with customers and helps them manage their long-term costs too. “The vast majority of businesses strongly welcome the introduction of mandatory carbon reporting. This is an area where corporate executives have been demanding more regulation from government to provide greater clarity and transparency. “Our detailed analysis demonstrates that this announcement will lead to huge cost savings for businesses as opportunities to reduce their energy use become more apparent. Over three quarters of UK adults expect that businesses should be required to report their emissions, as demonstrated by a Populus poll that we published last month. The decision follows the consideration of extensive evidence and the detailed analysis of consultation responses to gain the views of businesses and individuals, the majority of which opted for a mandatory reporting approach. Provide information to the business that could save them money through reduced energy costs. 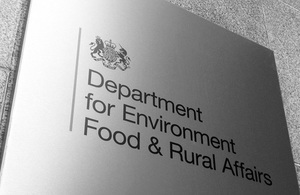 Further information on greenhouse gas reporting can be found at http://www.defra.gov.uk/environment/economy/business-efficiency/reporting/.